Mikko Mustonen was chosen in the trombone section of the UMO Jazz Orchestra in 1993. He has studied at the Sibelius Academy and the Royal Danish Academy of Music. 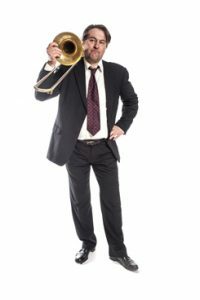 Mustonen plays – in addition trombone – bass trombone, tuba and baritone horn, and is an extremely sought-after musician in jazz, pop, rock and light music line-ups and recordings.